1. Time Scales for BPS-16/17 Stenographers??? Thanks Mr.Khalid Riaz Bahi for your struggle of our all colleques including me for the time scale BPS-16/17 and change of our nomenclature from stenographers to Assistant Private Secretary and also appreciable your struggle for computer allowance for steno typist/senogrpahers/ps.Hope u will be succeeded in your mission very soon. Augur Computor Allowance Stenographers/Stenos/P.S. ko Allow ho jata hay. Aur es say pehlay para 1. "Nomenclature from Stenographers to Assistant Private Secretary" ho jati hay. 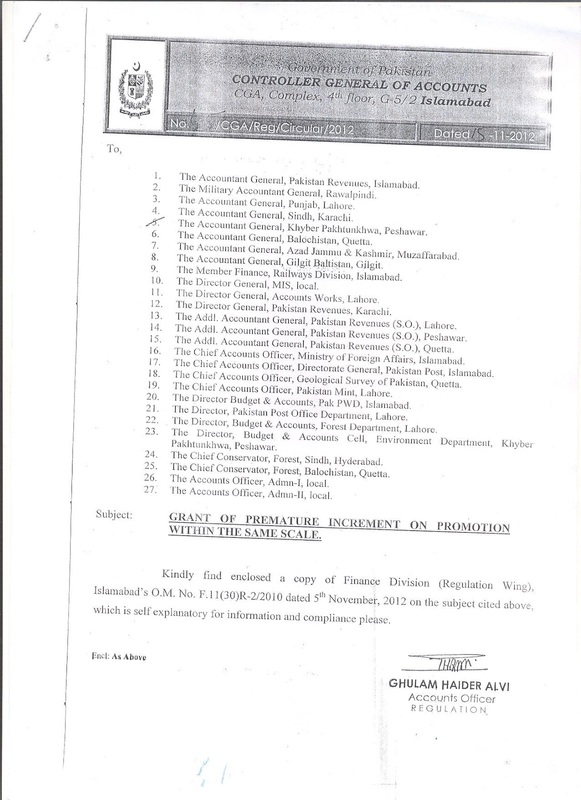 To phir Notification may Computer Allowance kay liyah "Assistant Private Secretary" ka lakhna Zarori ho ga. Basoorat digar yeh aik qanoni hardle bun sakti hay. Guzarish hay k COMPUTOR ALLOWANCE kay notification k waqat Stenographers/Asistant Private Secretary/stenos/PS zaror mention kiya ja ay. 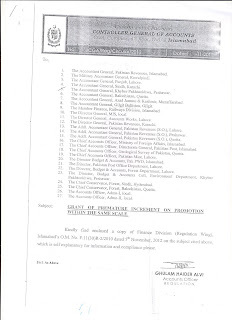 Ba soorat digar Assistant Private Secretary ko yeh Allowance Nahin Mil Sakay Ga.
A.A.Mr.Abdul Karim Bahai,app ki yay baat teek hay kay jab nomenclature change hoo jay gaa Assistant Private Secretary too aus waqat sirf computer allowance kaa haqdar Steno-typist aur hamaray aur colleques joo BPS-16 main hain woo haqdar hoongay yay bhee booth achi baat hay kay ham koo bee faida mil jay gaa aur hamaray baad hamaray bhanuoo koo faida ponch jay yay maqsad too Khalid Riaz bahi ka thah kay sab koo faida hoo jis main woo kamyab hoongay aur akari target bhee hasil karalain gay quinkay aus ki struggle sirf KPK kay mulzameen kayliay nahi thee poray pakistan kay deprieved aur mujooda colleques kay liay thee.Aus ka irada aur maqsad neek thaa woo ais main kamyab raha aur agay bhee hamari dowaain aus kay sath hain woo apni futur life main bhee kamyabian hasil karta rahay gaa. I always appreciate and admire your devotion for Stenos and always prayer for your good health, prosperity and long life. I request you to please intimate update about all 4 points especially 4th point through the Forum. 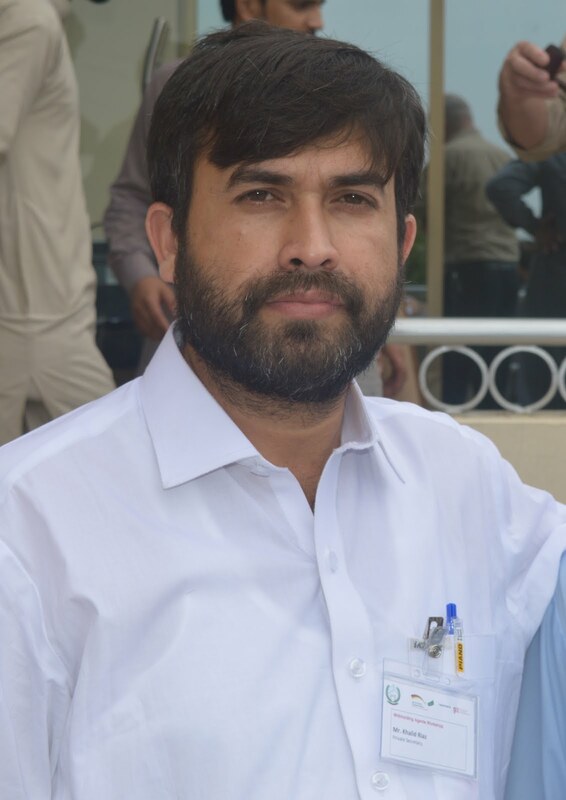 Khalid bahi, It is very really good new, but most of our collegues wanted to know about the actual position of the case, please inform through this forum, if u like. We want to hear the good news. Kindly update all of us on the above asked 04 x points by our valued brothers. Khalid bahi,Kindly inform us about latest uptodates through this forum, because all of us know the good news in details. please inform as soon as possible. 3. Computer Allowance for Steno/Graphers/PS??????? 4. Premature Increment on upgradation of Steno/Graphers/PS??? Case in FST 19.11.12 :: Pre-Mature Increment on Up-gradation. Subject: Grant of pre-mature Increment on Promotion within the same scale. Enclosed please find a copy of FD (R) O.M No.F.II(30)R-2/2010-1150 dated 5.11.2012, wherein one pre-mature increment has now been allowed on promotion within the same scale. Consequent upon the up-gradation of the post of AO BS-17 to BS-18 in 9/2005 one increment i.e next stage was allowed while fixing their pay. At the same time the senor most AOs who were already in BPS-18 by virtue of selection grade (deprived) were not benefitted thereby not allowing in any increment because of the reason that they were already drawing pay in BPS-18. In para (5) of FD O.M reference quoted above, it has been decided to allow one premature increment in the pay scale of the higher post in fixation of pay on promotion within the same scale. i. The senior most AOS who were already in BS-18 by virture of section grade ale also entitled to one premature increment due to upgradation which has been treated promotion. According to the judgement dated 28.1.2002 passed in CA No.637 of 1998 the "upgradation tentamounts to promotion". The FST had also given a Judgement on 23.11.2011in a similar Appeal No.20(L)CS/2011, relying on the said judgment of the honorable Supreme Court, the FST had directed the respondents to grant pre-mature increment on up-gradation. ii. They are also entitled to next stage b ecause they have promoted/upgraded in BPS-18 w.e.f 9/2005. The presumption of this office, if correct may please be confirmed. dear es per court case karna hoga. Es k baghair nahi hoga. 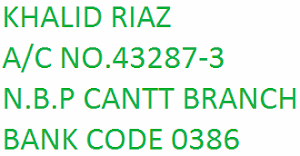 Dear Khalid Riaz Bahi,AOA,29.11.2012,koo premature increment ki koi further progress hoi hay too ais kay mutaliq bata dain.Shukria. Thanks my dear Khalid Riaz Bahi,for ur early reply. Hey coleagues,have finance division O.M dated 5.12.2012 been implemented in any department ?. If so please confirm and put it on this forum. Ji han chuhan Bhai Finance Division (Regulations Wing)Islamabad, O.M. dated 5th November,2012 hmaray department Post Office GPO Faisalabad mn orders receive ho gae hn aur implement ho gya hy. This is correct. Shukar Alhamdulillah and Special Thanx for Khalid Bhai ap ki struggles ka. Hope u will continue struggle to achieve remaining demands early inshaAllah. Saif Bhai. AOA. please provide me a copy of letter under which GPO has granted pre-mature increment to the deprived stenos through DAK or on this forum or on my E-mail i.e sabir_chauhan8@yahoo.com and thus obliged. Dear Safi Bahai,AOA,jis notification/order ka zikar app nain kia hay ,agar auski aik copy Mr.Khalid Riaz Suhaib koo beheej dain too woo ais foum per dal dain gay aur ham tamam colleques ais say mustafeed hoon gay.Thanks. Awan dear, I read O.M. dated 5.11.2012, but the orders I required are regarding implementation on it. Saif bhai has informed me that post office is implementing the same. So I request hime to send me the same, probably, they are facing loadsheding prolem in Faisalabad. As soo as it is finished Mr. Saif bhai will send me me same by e-mail. CGA office issued letter to Accounts Departments for information and compliance. Dear Khalid Raiz Bhai,AOA,kia ais letter kay through ham apna bill bejwa dain too AG.KPK,office walay pass kardain gay yaa nainhai,ais kay mutalaq bataa dain yaa KPK,ki tarif say koi provincial order elada issue hooga. The required Fin. Div OM dated 5th Nov,2012 has been e-mailed to u at the given address. Dear Saifi Bhai, the same is not find out on my e-mail address but CGA has issued instructions for implementation of the F.G. O.M dated 5.11.2012. Please see on the top of this site under heading click on the below link. I think that this would be sufficient for each department, I would like to thanks of all colleagues particularly Khalid Bhai. Try to keep in picture to all colleagaues. Please check your e-mail (sabir_chauhan6@yahoo.com. I think u will find the required documents alongwith Letter of CGA Islamabad referred to above top of this blog.In addition to that the same was sent to Mr.Mushtaq Malik Steno Pakistan Post Rawalpindi by post. Salute to Khalid Riaz for his hectic efforts. It was a dead subject and no one was thinking about stenos. It was only khalid Riaz who took the initiative. May you live long and prosper. Dear Khalid Raiz Bhai,AOA,kia ais letter kay through ham apna bill bejwa dain too AG.KPK,office walay pass kardain gay yaa nainhai,ais kay mutalaq bataa dain yaa Govt:of KPK,ki tarif say koi provincial order or endorsement elada issue hooga. Respected Khalid Riaz Brother, What about further? to your below copied comments? Ajj dobara case ko persue karne giya..... per SO court attend karne giya tha aur JS(R) 15 din ki chuti per......... Dua karin k en ko case ko process karne ki istetaat farmai. Thanks Mr.Khalid Riaz Bahai,for your early reply on the aforesaid my comments. Jab tak bacha Doodh na mange MAA doodh nahi deti. App bil tu submit karo shayed MAA (mean Department) maan jai. My dear Kalid Riaz Bahai,ur above quoted example is 100% correct at this time and in this situation thanks. Dear Abdul Karim Bahai,AOA,app ki taraf say jawab joo mila hay woo bhee correct hay,quinkay Central mulazameen ka bill too OM,kay issue honay kay bad automatically ais par amal hoo juka hay, liqan provincial ki taraf say jab taak endorsement nahi hoogi too,bill main upgraded/promotion par premature increment nahi mil sakti. Raihan Bhai, AOA, the ibid O.M is not yet being implemented in even central government offices. Because this OM does not clear the status of upgraded posts as promotion, hence they are clearing it confused OM. I appreciated the valuable comments of Mr.Sabir Chauhan Bahai,OM,Centeral Govt:waloon per implement hoochuka hay ,promotion/moveour/selection grade per too pehalay say hee fixation kay waqat aik increment laq jati thee .Yay masla too sirf upgradation honay per samany aia joo ab hal hoochuka hay,aur aus main clearly upgraded employees koo bhee haqdar qarar day dia gia hay,rahi baat provincial kee too abb tamam provinces ais order koo endorsed karnay kay bad us ki copies mutalqa departments koo beej dain gay too tab ais per amal hoo sakay gaa,aur umeed hay Govt:of KPK jalad uz jalad ais koo endorse karkay copies bejawa daingi. It is regretted to say that Geological Survey of Pakistan is not implementing on the above mentioned O.M.. I request you and all other colleagues to whom per-mature increment deprived stenos have been granted to provide the copy of department orders on my e-mail address i.e. sabir_chauhan6@yahoo.com and thus obliged. Khalid Bhai,A case of Mr.Rahim Bakhash,Stenographer in Balawalpur and for those stenographers who were in selection grade in 2007. Their pay was fixed less than 15% from 1.7.2007 and leads to anomaly is placed in Ministry of Finance Islamabad and need pushing for decision. Your are requested to please try to pursue in the public interest, which will be beneficial for those all colleagues whose pay was fixed in above 20 stages Raihan Bhai you may also check your record, if it is cleared then one increment will be allowed for fixation from 1.7.2007. BPS-15 main wapis kardia gaia,1994,main Selection grade BPS-15,main dia gia,2007 main joo notification jari howa aus kay mutabik ham koo,1.1.2001,say BPS-16,day kar BPS-15,main kardia gia,ab february=2012,main 10 years aik post par complete howay,aur muajay 1.04.2012,main 60 years main RTD,kardia gia,jabkay upgradation BPS-16,KI approval 23.12.2011,koo hoi,jis kay liay main nain apnay parents department main apply kardi hay aus ka order honay per ab pher BPS-16,main fixation karain gay liqan ab taak ,premature increment kay mutalk provincial Govt:of KPK,nain endorsement letter nahi beja aur mera benevolent fund ka case joo BPS-15,main Rs.30000/-Thaa,aus ka case bhee DCO,Peshawar walay wapas behej raiahay hain woo kehatay hain kay app BPS-16,main gazetted hoogay hain ab app Rs.55000/- kay haqdar hain,ab ham doono taraf say gheray hooway hain nana agay kay hain nana bechay kay jab koi further progress hogi too pher AG,office kay chakar laganiny parain gay aik sal beet gia , aur doosara KPK,govt:waloon ki waja say beet jay gaa ,kisshair nain khoob kaha hahy koon jeata hay teeri zulaf kay sar honay taak ,agay kayliay Allah Karim koi rasta bana daay gaa. Raihan bhai kia grade-16 ko benevolent ki grant 55000 retirement per detay hain ya basic pay is ko clear karna kun'k mujhay bhi apply karna hay. yahan kah rahay hain ki serf basic pay milay gi. hamin is waqat tak upgradation ka aik paisa bhi benefit nain hua. Na fixation na increment her taraf ghaplay hi ghaplay kwi sidha kam karta hi nain, Allah en ko pochay ga. Hamara case milta hay is leya ham aik dosray ki bat samajh saktay hain, shahir nay yah bhi kaha k.. jin ka koi na ho us ka khuda owta hay preshan no hoon inshallah hamara haq hamain zaroor milay ga.
BPS-16,STENOGRAPHERS koo gazetted main shumar kar rahay hain ,aus ki grant Rs.55000/-hay ,joo DCO,ki Bajay Secretary Benevolent fund ki approval aur meeting main approve honay kay bad milta hay,aus kay liay bhee kuch intizar karna perta hay,baqi agar koi ais qisam ki orders ki copy ap kay pass hoo jis main increment 2007,main fixation kay waqat daitay hain too bejwa dain taakay main bhee ais say mustafeed hoosakoon,app ki booth booth mehrabani hooqi.